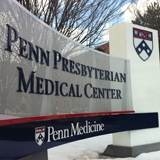 Dr. Sankar is employed by Penn Medicine. Fisher JB, Sankar PS, Miller-Ellis EG, Ahmed HN, Maguire MG, Schutte-Rodin S, Piltz-Seymour JR.: Prevalence of Primary Open-Angle Glaucoma (POAG) in African-American Patients With Sleep Apnea Syndrome Poster Presentation, American Academy of Ophthalmology Annual Meeting, Chicago, IL : 2005. 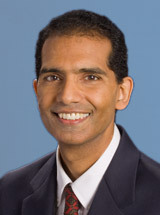 Sankar PS: Glaucoma Specialty Clinical Update: Diagnostics. American Academy of Ophthalmology. Web based CME format. www.aao.org : 2003. Sankar PS, Chen TC, Grosskreutz CL, Pasquale LR: Traumatic Hyphema. International Ophthalmology Clinic 42 : 57-68,2002. Sankar PS, Pasquale LR, Grosskreutz CL: Uveal Effusion and Secondary Angle Closure Glaucoma Associated with Topiramate Use. Arch Ophthalmol : 2001. Hu DE, Sankar PS, Chang BM, Dhaliwal DK: Dry Eye Syndrome Current Concepts in Ophthalmology 7 : 29-33,1999.